GOT A QUESTION? CALL US OR WRITE US! Setup uniform printing with colorizable panels in less than a week. 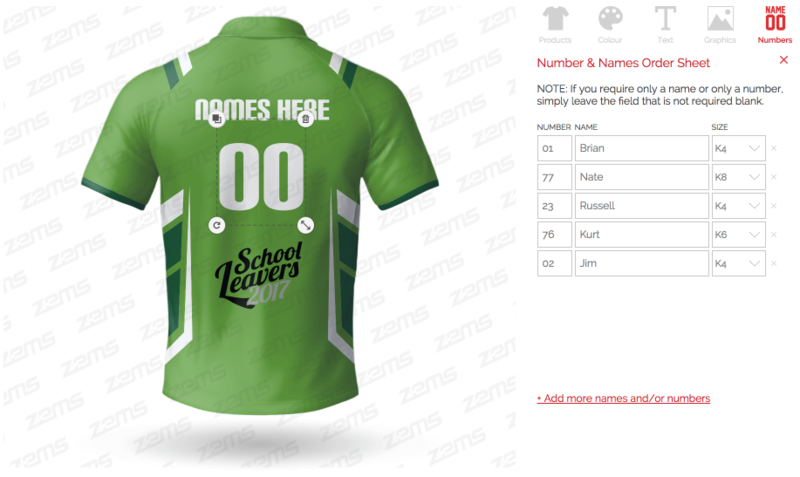 With our custom uniform design tool, your customers will be able to load a preset uniform template with color panels, colorize them, add own logo, text or names and numbers list. Names & Numbers Tool already integrated in designer. Configurable colorizable areas that support set colors or even gradient. Support of multiple printing sides: front, back, sleeves, pockets. Up to 6 sides easily configurable. Support of vector images, or ability to colorize uploaded artwork images. Instant preview of the selected product and design. Feature not listed above? Easy to extend any base functionality as part of custom project. Briga Sports Teamwear offers apparel kits for various sport apparel, including soccer, rugby, basketball, athletics, and others. Using LiveArt Uniform Designer, integrated into full scale e-commerce site, Briga offers their users creating custom sport apparel online with unique color panels as well as use standard designer features like selecting a logo from gallery or adding your own. A realtime preview of the ready apparel ensures customers will get what they have designed. Personalitees is a family-operated business that specialises in uniform producing and memento apparel. An important part of these are sublimation polos which could be printed with a gradient color, something that is unique for the uniform builder software. One-time start-up cost, no hidden fees. No monthly costs, commissions or royalties. No revenue sharing! Take full control on products, fonts, colors and artwork clipart. No restrictions! Based on HTML5/JS techs, our responsive designer is mobile and tablet friendly, for Android, iOS and Windows devices. Based in Kyiv, Ukraine and passionate about building business solutions for decoration industry involving cutting edge HTML5 technologies. In business since 2001 as part of NewtonIdeas. Existing website or fresh start, a selection of LiveArt products allows you to try and evaluate any of the ways to get your decoration industry open to the web. We work with a number of printing industries, each offering unique web2print or web2production solution. See the one that matches your product and process. Have a question or problem? You can find answers in our FAQ - or contact us so we can help. Share your requirements to get professional consulting and assistance. © 2001-2019 LiveArt™. All rights reserved.